I absolutely love your work. It’s inspiring in word and in artistic execution. Inspirational and very airy. This day like many are filled with turmoil, I am glad to have that helping hand to get me through. I have a thing for giraffes, love your work! Darn you glass-past-half-full-and-overflowing giraffe-happy blogger, you! Here I am, determined to stew in my slough, when a spotted hoof of friendship descends down to my despond, refusing to allow it. Irksome creatures of positivity and overwhelming adorableness! I should mention that it is my FAR more irksome pal Joey who brought me to your site. 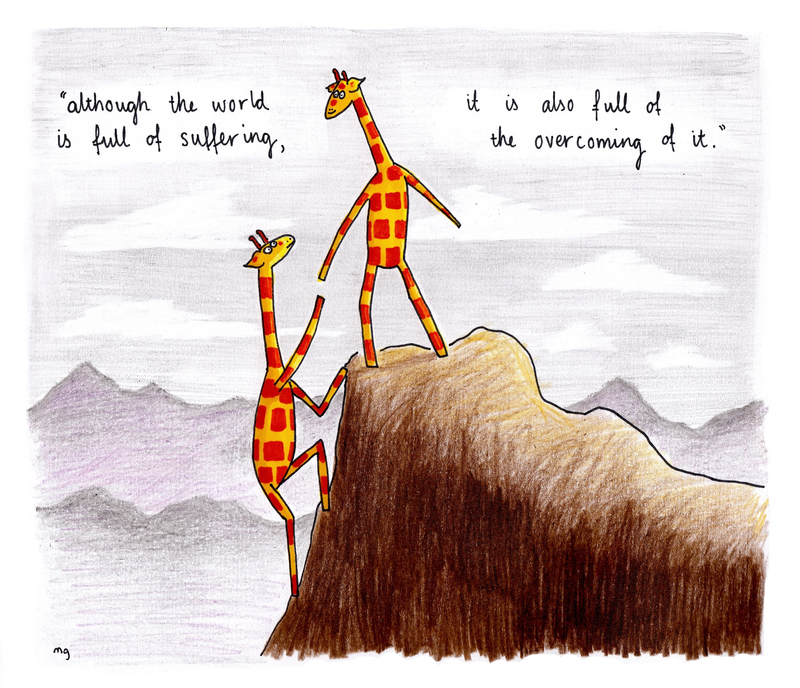 I love this, both for the message and for the visual of two giraffes climbing a mountain. Too cute.